NUFC welfare officers visit Elias Sorensen as Blackpool boss speaks out about his situation – NUFC blog – Newcastle United blog – NUFC Fixtures, News and Forum. 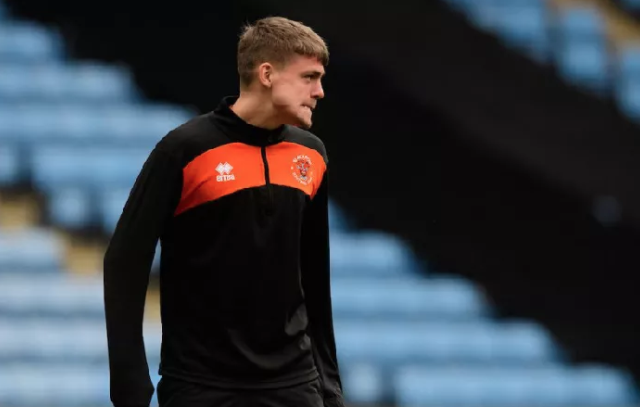 Blackpool manager Terry McPhillips claims there’s been “no issue” with Elias Sorensen – despite him not even making the bench in their last game against Charlton. McPhillips has also confirmed that ‘a couple of welfare officers’ have visited the club to checkout the latest situation and watch Sorensen train. Despite scoring 21 goals in all competitions this season and being a loan target for several Football League clubs last month, the Danish striker has only played 32 minutes of football at Blackpool so far. It’s not good enough for a player we clearly sent out to get regular game time, but McPhillips does have every right to leave him out if he’s not performing well enough. We don’t know the truth. Let’s hope he can break his way into Blackpool’s first-team plans sooner rather than later – otherwise we’ll be wondering whether it may just be better to bring him back.